Everyone dreams about their big day. Ours literally came and went by too fast. That’s why I love the photos that came out of it. 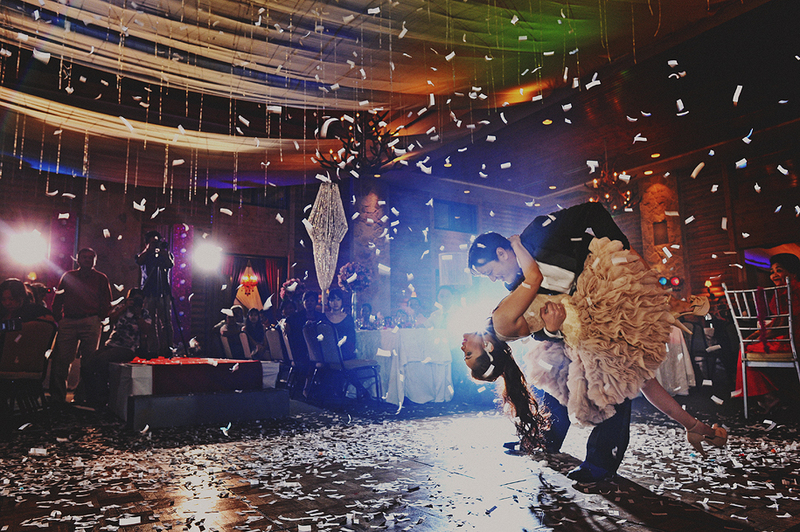 I’m glad that we decided to invest in an awesome photographer who knew what it was like to make the most of the moment. At first I was not that excited about it. After all, I’m a guy and I don’t really tend to be concerned about stuff like this. It is usually the bride that really cares a lot about this stuff. However as the years have gone by, I notice that Paul Vincent’s photos have become more meaningful to us. There are three things I want to share about Paul Vincent that I think you guys should know about. I’ll tell you about them in no particular order (and no, he didn’t pay me to write this. Hahaha. I am just a very satisfied customer). 1.) 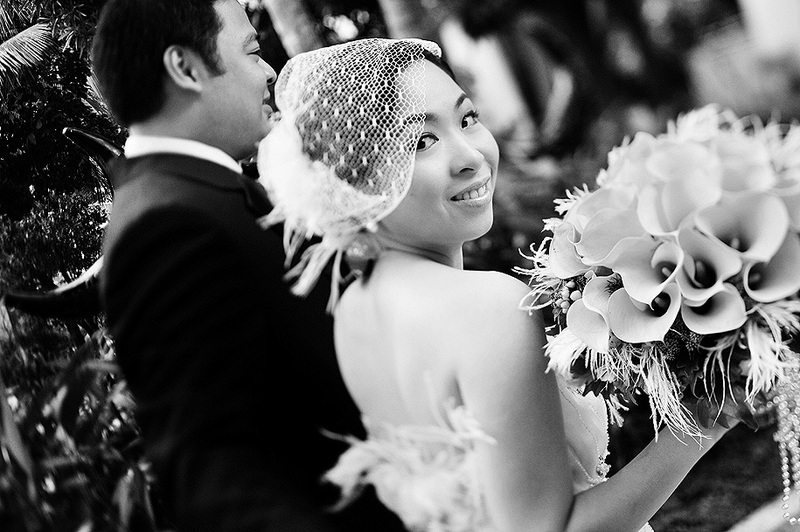 His Imagination – there were some shots during our pre-nup shoot that were so out there. I laughed out loud over some of them. But here I am today after four years thinking: “man, these are awesome takes. I never would have thought of these.” I love the creativity and vision that this photographer showed. 2.) His Professionalism – Paul Vincent was always on time to every shoot. Actually, he was always about 45 minutes early. I respect how he “hustles” and how he treats his clients with respect by showing up on time and by doing the little things (watch him do his pre work. I did). He knows how to bring a place to life. 3.) His Personality – Paul Vincent never made us feel like strangers. I know that this may not be important for most people but you see, I hate shoots. I hate posing for photos in general. Yet here was this guy, cracking jokes in the middle of a hot day just to make someone like me feel better. You know, it made such a difference. Anyway, these are very minor things that I feel have added up to become quite huge over the years. I love our pre nup and wedding photos. They are crisp, clear reminders of our love for each other. Anna and I will have a great time showing these to our grandchildren one day. So thank you Paul Vincent. You made our day 4 years ago. We hope you will get to do the same for many other couples out there. 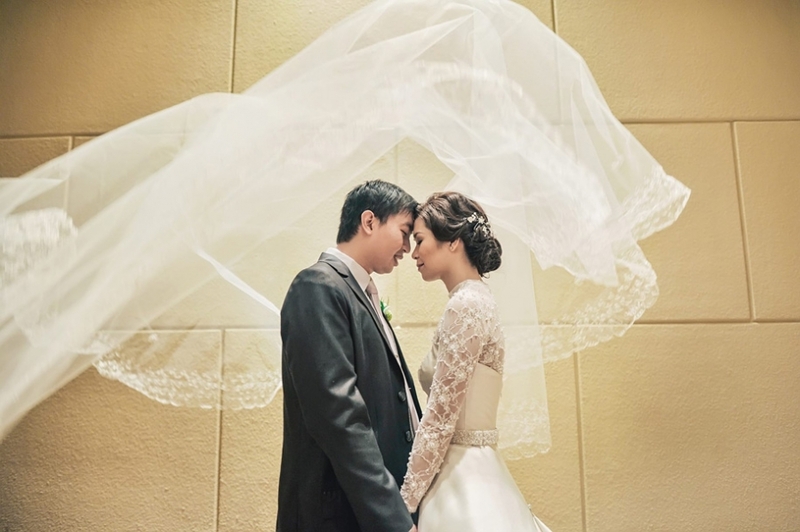 Thank you very much for capturing the special moments of our wedding day! Every picture taken was bursting with emotion and happiness. You truly have found your craft and perfected it! 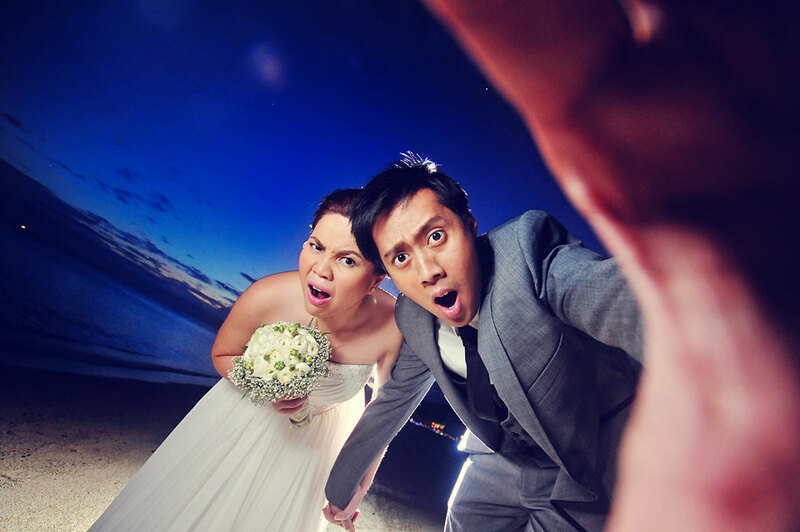 Hanggang ngayon, people are still raving at how beautiful our wedding pictures are! Hindi talaga kami nagkamali sa pagpili sa inyo. In addition to that, hindi kami nagkamali na kayo lang ang documentation team namin at walang videographer! Videographer? Ano yun??? Hahaha! Exclusively PVP lang ang wedding namin! We placed so much trust in you, and you did not fail us! Sobrang thank you!!! Continue perfecting your craft, because each and every photograph you are taking just keeps getting better and better! Again, thank you for the beautiful pictures!!! And thank you for the humor! Sobrang saya kasama ninyong lahat! Thanks Paul Vincent! I love every shot! YOU ARE AMAZING beyond words! Thanks Paul sa mga nakapa GANDAng shots!!! Lupit mo talaga!!! Paul, Ayvih, and the entire crew, Macon and I couldn’t thank you enough for covering our event in an exceedingly professional yet enthusiastic manner. We were both all smiles talaga (unless you requested a “serious” shot, if there ever was!…). May GOD bless you and your team as you make lovers all over the world celebrate and cherish one of the most memorable milestones of their lives! Gifted with a keen eye and a penchant for the uncanny, Paul captures with his camera not just the moment but the story that brought it forth.Ã‚Â The most glaring feature of his unique style is his ability to breathe life into his vivid images, as if they couldnÃ¢â‚¬â„¢t wait to jump out of the frame and speak a thousand words.Ã‚Â A fast thinker and a resourceful artist, Paul makes the most of every situation and allows you to see things like youÃ¢â‚¬â„¢ve never seen them before. At day one of our wedding preps, Kat and I quickly agreed on one thing Ã¢â‚¬â€œ that photos were our priority.Ã‚Â We were willing to cost-cut in other aspects but would not compromise on the only tangible memory of our wedding day Ã¢â‚¬â€œ our photographs.Ã‚Â In this day and age of advanced digital photography and emerging talents, choosing the right photographer was obviously one of the more challenging tasks.Ã‚Â But Paul, I believe, was the best example of how the art of advertising can be truly mastered.Ã‚Â The first and only meeting with Paul sealed the deal.Ã‚Â The moment we entered his humble abode in Quezon City, we were instantly greeted by this bespectacled guy with his wide grin and genuine handshake.Ã‚Â Rapport was achieved in the fastest possible time, as he immediately put us at ease with his disarming charm and wit.Ã‚Â Yes, he evidently knew his craft well, without needing to openly boast about it.Ã‚Â I especially like his minimalist concept, avoiding the all too common trap of jamming too many elements in one frame or too many pictures in one album. But at the end of that meeting, Kat and I were unanimous in our reason why we chose Paul Vincent Photography.Ã‚Â Not because he had brilliant ideas, or breathtaking pictures, or that he had displayed a mastery of his craft.Ã‚Â It was simply because — we liked him a lot. Hi Paul and Ayvih. I received my wedding album last night. Both Mayette and I were very pleased with the quality. It is even much much better than what we expected based on the prototype shown in your website. Mas maganda pa pala sya pag actual album:) Thanks again! hi paul and ayvih, thanks for the great moments captured by your team! you guys have sets of eyes unmatched in the industry. you see things the way no other does. we will forever be grateful for the “gaaaaandaaaaa!! !” instances visualized by you and captured thru your lenses. you guys rock! Hey Paul! My sister just got married yesterday here in Vancouver, andÃ‚Â really brought me and Christine to reminise our shoot with you last year. YOU ARE AWESOME! We had so much fun and we remember laughing with you the whole time. Seriously, if you are ever in Vancouver for any reason and have a spare day, we will book you for another shoot! No joke: if you come here and don’t let us know we’ll be pissed! haha. Anyways man, take care and I hope life is good.